Are Your Favourite Flowers on Our Best Sellers List? If we asked you to guess what some of the most popular choices for flowers by post are, you’d probably be able to get a fair few. That’s because many of our best selling flowers are some of the most well-known blooms around. Roses, lilies, and carnations are just some examples. But what if your favourite flowers are tulips, orchids, or lavender? Never fear because we’ve got stunning bouquets with those flowers as well. And what’s even better is that we offer cheap flowers to help make sure that you get your favourite for less. Give Flower Delivery a call on 020 3900 2443 today to let us know what your favourite flower is and we’ll help you select or design a bouquet. With our free standard flower delivery you have nothing to lose! Many of the best selling flowers in our florist are comprised of the most classic flowers. Roses are often one of the most popular options for all kinds of bouquets, and because they come in all kinds of colours, you can use them for virtually everything - anniversaries, weddings, funerals, or get well soon bouquets. The same is true of other classic examples like tulips and carnations. 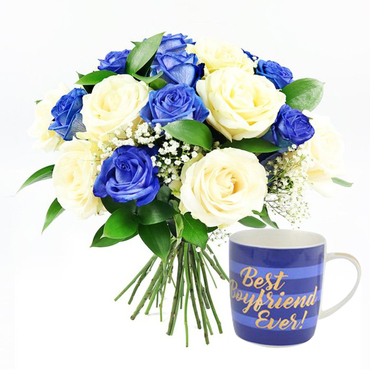 So if you are after a bouquet of flowers made up from some of the most loved flowers around, our best selling flowers by post will be perfect. Why not visit us online and see some examples of the wonderful range we offer today. Order flowers online and enjoy a free flower delivery! While many of our best selling flowers are based on traditional or classic blooms, we know that many of our customers are after something a bit different or even exotic. Luckily, our huge range of flowers means that we have something for everyone. Whether you’re more a fan of orchids or lilies than roses and carnations, we have the perfect flowers for you. Or if you like a bit of variety, why not mix and match. Many of our most popular bouquets are a stunning mix of classic and exotic. But whatever appeals to you, our brilliant florists at Flower Delivery are on hand to create something amazing, and our delivery team will have flowers delivered to your door in no time. It’s all well and good knowing what flowers you love, but if you never find time to go out and buy them, you probably won’t get to enjoy them. So why not let us bring them to you. With our help you can have flowers delivered to your door whenever you want. 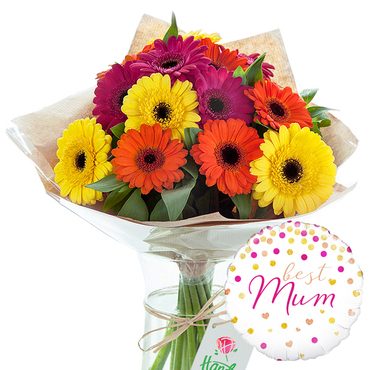 We offer standard and next day delivery on all of our best selling flowers. Plus we can even offer same day delivery for any urgent requests - perfect for last minute presents, or when someone needs to be cheered up. You can book same and next day delivery by visiting our flower shop online or calling 020 3900 2443. Just get in touch today, we’ll do the rest! In some flower shops you have to choose between cheap flowers and high quality ones. But that is not how we do things at Flower Delivery, many of our most popular flowers are also some of the most affordable in our range. And in fact we have cheap flowers of all kinds available, whether you’re choosing from our best selling selection, or you want something totally different or bespoke. You won’t find lower prices for flowers or flower delivery in the area. Come put us to the test when you visit our flower shop online. We’ll be happy to help save you money with our stunning range. Don’t have time to nip out to your florist on your lunch break or on the way home from work? That doesn’t mean you can’t browse the fantastic range of flowers we have on offer - you can now browse, and order flower delivery online. It’s so quick and easy to do, it’s fast becoming our customers’ favourite way of ordering flowers. You can send flowers online with a few clicks of a button when you select one of our most popular bouquets. Or if you want to make it more personal, you can do that online too. 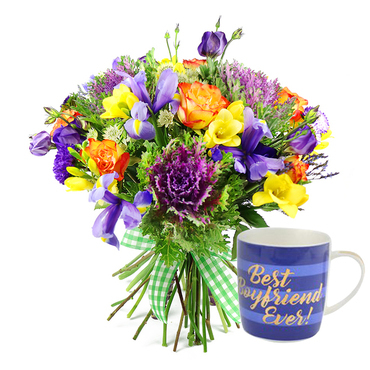 Visit us online today to discover just how easy and affordable it is to send flowers online. Do it whenever and wherever you like - no time wasting!